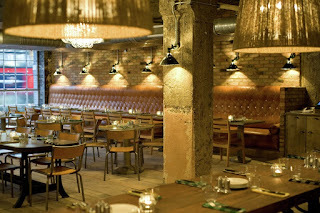 Cheval Three Quays is close to Duck & Waffle Restaurant. Brunch - is a meal eaten between breakfast and lunch, and is a substitute for both these meals. The word is a portmanteau of breakfast and lunch. Now THAT'S what we call a fantastic invention. Caravan offers a weekend brunch menu to rival any in London in a relaxed and effortlessly cool setting on Exmouth Market in Clerkenwell. The New Zealand influenced restaurant has its own coffee roaster, so flat whites are very popular too. The open plan layout and double facing glassed front make this an ideal location for enjoying a vibrant part of London. Caravan has a second outpost on Granary Square behind King’s Cross station, Caravan King’s Cross, both of which serve some of the best coffee in London. Caravan also featured our post about the best coffee shops in London. Balthazar London now offers a brunch menu to rival its sister restaurant in New York, which excelled in its weekend brunch offering. 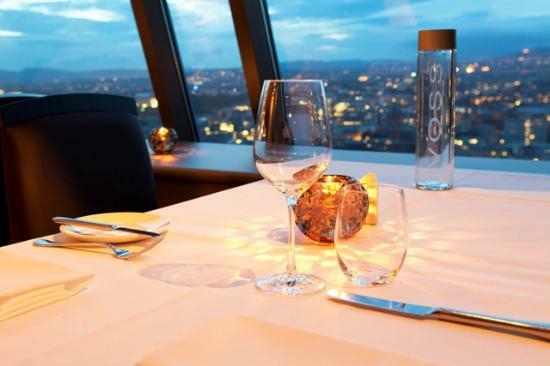 Dishes include apple cinnamon pancakes with Canadian maple syrup, spaghetti with lobster, a large selection of ‘Les Oefs’ (Benedict, Royale, Florentine) and a hamburger with excellent crispy fries. Wash it all down with the Balthazar Bloody Mary. 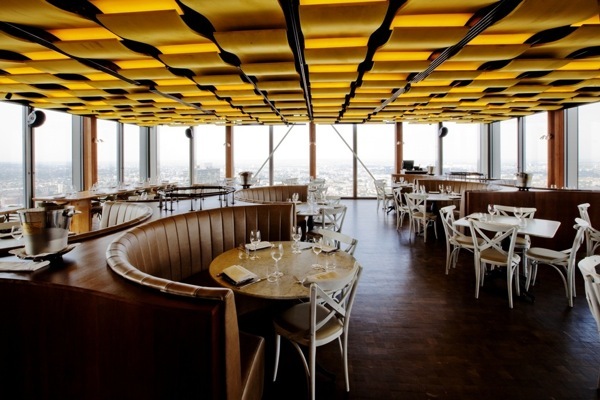 On the top floor of The Heron Tower in The City, Duck & Waffle is open all day, every day, with an all day menu from 11am to 2am. 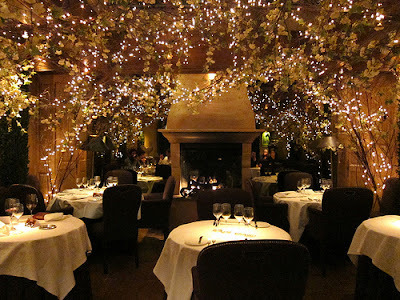 From 2am until 6am the restaurant offers a separate late night menu, and breakfast is served from 6am to 11am. Chef of the moment, Dan Doherty’s brunch menu includes the restaurant’s signature dish, Duck and Waffle, which consists of confit duck with fried duck egg and mustard maple syrup and interesting dishes such as the Foie Gras ‘All Day Breakfast’. We talked about the opening of Duck & Waffle here. 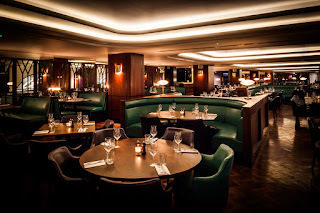 Although more widely known for being one of London’s best steakhouses, Hawksmoor is fast becoming renowned for its Sunday brunch menu offering a mammoth Hawksmoor Full English for two people to share and roast beef with all the trimmings available on Sundays. Anna Hansen’s acclaimed Clerkenwell restaurant The Modern Pantry serves an excellent weekend brunch in light, bright surroundings on a beautiful square in Clerkenwell, claimed by many to offer the best brunch in London. The restaurant also has a large terrace to make the most of the sunshine in the summer months, making The Modern Pantry one of the best alfresco restaurants in London. Serving fine Italian food from the morning until the early hours, Cecconi’s is a perfect spot for breakfast, brunch or lunch and a great way to break up a day’s shopping on nearby Bond Street. Cecconi’s is fun and glamorous, with a real buzz about the place – and Prosecco on tap in never a bad thing, especially for a Sunday brunch in London. The Wolseley has maintained its place as one of London’s chicest destination for brunch in London, with businessmen and fashionistas flocking there for the grand dining room and people watching. The Wolseley is one of the classic restaurants in London for a power breakfast meeting and certainly offers some of the best brunch in London. The new brunch menu at 34 Restaurant offers eggs with a twist – lobster, crab, grilled asparagus, black pudding, smoked salmon, chorizo and much more. Grills include spatchcock chicken, pork belly, swordfish and steak; and brunch staples like buttermilk pancakes, pasta and Caesar salad are also available. A Sunday roast with all the trimmings is also available for Sunday brunch. The Delaunay, sister restaurant to The Wolseley and Brasserie Zedel from restaurateurs Chris Corbin and Jeremy King, sits on the corner of Drury Lane and Aldwych. The restaurant is open seven days a week – until midnight from Monday to Saturday and 11pm on Sunday – serving breakfast, afternoon tea, and à la carte lunch and dinner menus ‘inspired by the grand cafés of Europe’. They also serve some of the best brunch in London. The team behind the acclaimed Garrison and Village East in Bermondsey opened the Riding House Café, an all day Brasserie offering a selection of small plates to share as well as traditional main courses in Fitzrovia. 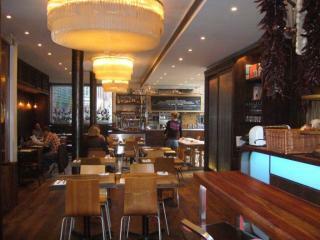 The restaurant has a great vibe and a ‘buzzy’ bar area too, making an ideal venue for Sunday brunch in London. Housed in the Tea Building, adjacent to Shoreditch House, Pizza East forms part of the Soho House Group, where the vibe is a cool mix of American and Italian. While the menu focuses on pizzas, including a full English breakfast pizza, the menu does offer more traditional brunch items as well. A short stroll from Regents Park you’ll find Gordon Ramsay’s York & Albany, housed in a converted coaching inn. After brunch, you can visit the adjoining deli, Nonna’s, to purchase items to take home with you, or you could even check in to one of the bedrooms in the hotel upstairs. Also in our "best coffee shops in London" list, this delightful coffee house is nestled down a lane in Fitzrovia. Lantana’s Australian ownership is reflected in the brunch style dishes, flat whites and relaxed atmosphere. The cakes are particularly good and breakfast dishes always delight. Lantana offers some of the best brunch in London. 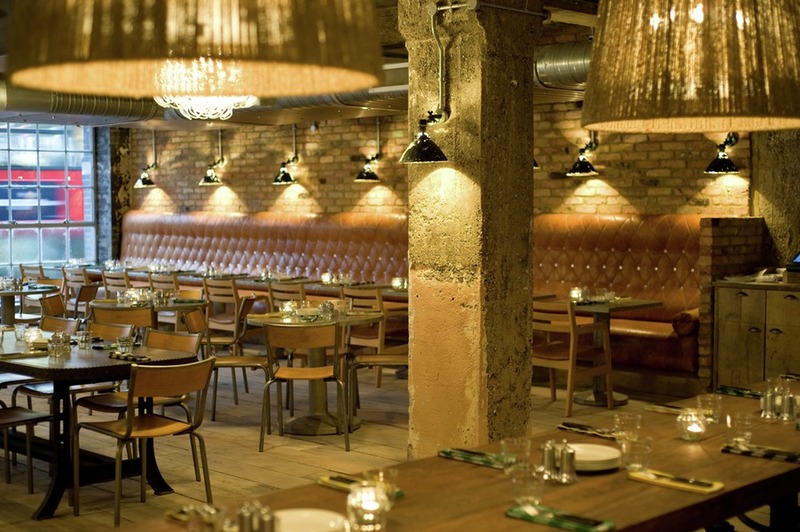 The Breakfast Club, just off Upper Street in Islington, offers a casual, quirky environment for a weekend brunch. Serving a range of classic brunch dishes, from pancakes to eggs Benedict, at an affordable price, the café is very popular, so expect to queue! Fifteen London is the flagship of Jamie Oliver’s Fifteen group, which aims to give opportunities to disadvantaged youngsters. An emphasis is placed on making everything in-house and particular praise must be given to the homemade jam, which alone is a reason for visiting. Le Caprice has launched its Saturday Jazz Brunch featuring the musical styling of Dom Pipkin. Best known for his soulful New Orleans sound, Dom has played sessions with the likes of Ray Davies and Morcheeba, and is currently the man leading the band for Paloma Faith. Saturday Jazz Brunch happens twice a month from 12.30pm to 4pm. 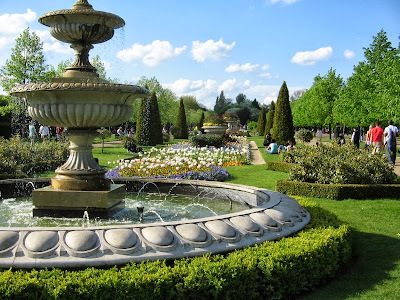 Cheval Residences, your luxury serviced apartments in London recommend this article. Follow Cheval Residences on twitter to be on the verge of lifestyle trends. Cheval Three Quays is the newest addition to the Cheval Residences family, opening 2014. Nice blog. These places are looking so beautiful. Brunch is a meal eaten between breakfast and lunch, and is a substitute for both these meals. Thanks to providing some of the best places to have brunch in London. I am going to apply this on my trip next month.Thanks for your information.